This is my spin on the Lyle’s Golden Syrup Queen’s Birthday Cake. It is a beautiful Victoria sponge cake, made with Lyle’s Golden Syrup and the buttercream is also made with the syrup, which makes it have a very lovely flavour. 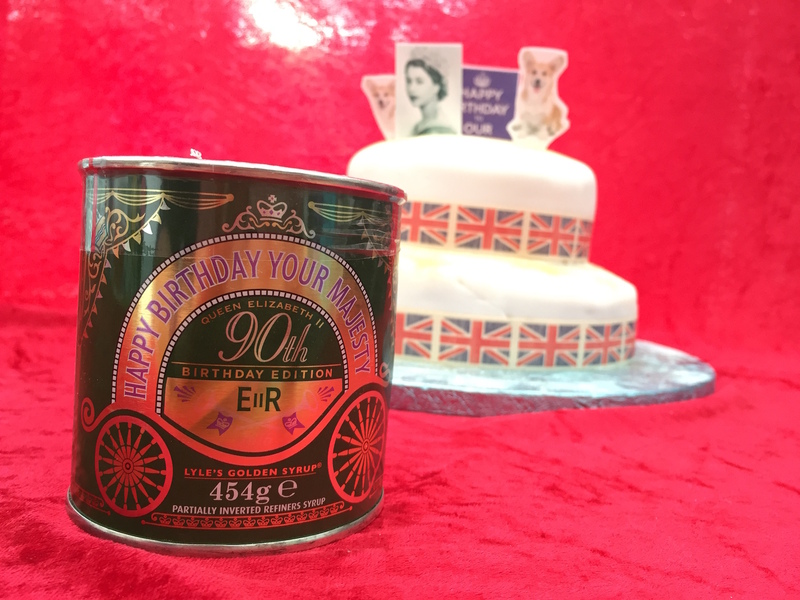 Victoria sponge is the perfect cake choice for Queen Elizabeth and the edible decorations on the top of the cake make it that little bit special.